Russian Standard Vodka has signed a five-year deal with Emirates Airline to have its vodka served in economy and first class. Emirates will serve Russian Standard Original Vodka for customers in economy class, while first class travellers will be served the brand’s luxury expression, Imperia. To raise awareness of the brand among travellers, the offer will be supported by an integrated marketing platform, which will deliver a series of activations across various channels. Elina Fruin, managing director for global travel retail at Roust, which owns Russian Standard, said: “Winning this tender is very important to us as it marks a major expansion of our presence with one of the largest airlines in the world. In securing this important win we faced strong competition from global industry players. “I believe the key feature of our success is the strength of the brand in travel retail globally and in the local market of United Arab Emirates and valuable insight and support from our partners”. Emirates Airline operates more than 3,600 flights per week to more than 150 cities in 85 countries and territories across six continents. 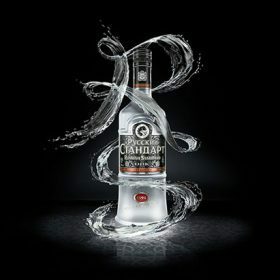 Russian Standard Vodka recently launched a £2.5 million (US$3.5m) marketing campaign, which the brand hopes will enhance its profile in the UK.